The Primary Phonics Consonant Workbook reinforces the concepts introduced in Workbook K, providing additional practice with the seventeen consonant letters. Two pages are devoted to each new consonant sound. Each page uses illustrations that begin either with the new letter or with a previously learned letter. Students fill in the missing initial consonant in the spaces provided. The letters needed for the exercises are printed on the top left corner of the page. Initial consonant sounds, Sound-symbol relationships, and letter formation and identification are covered. 32 pages, softcover. 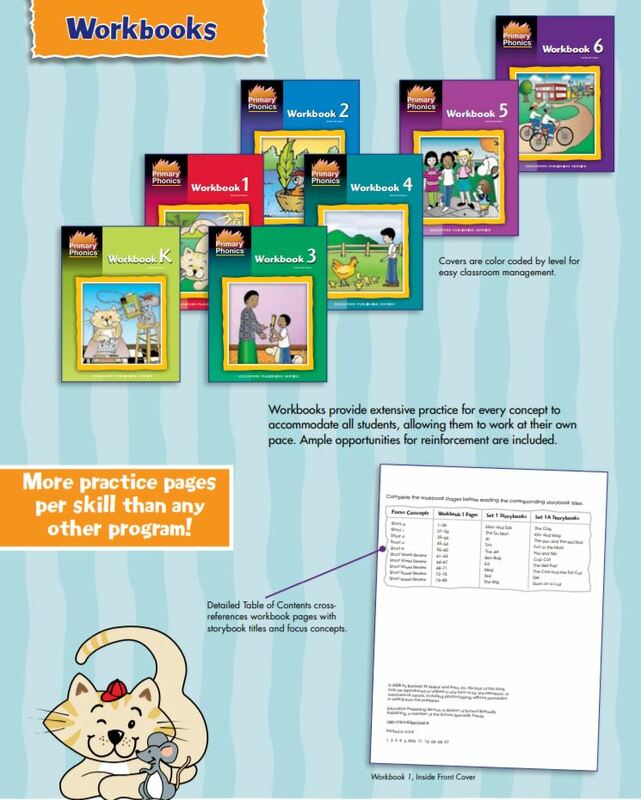 MORE Workbooks: Provide additional practice and reinforce the skills developed in student workbooks 1,2 and 3. 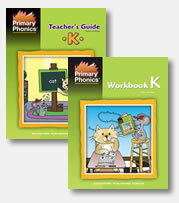 Additional practice workbooks also include Color Workbook Level K & Consonant Workbook.